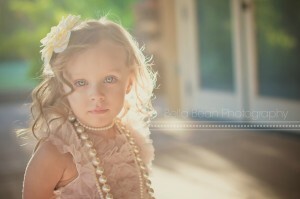 We recently had a sick week where 6 out of 7 of my kids were sick over 11 days. Oh my it was a very long week!! We decided to cancel school for the week because obviously nobody wants to do school when they are sick but, I didn’t want them all just laying down on the couch all week watching t.v. and playing video games. I can’s stand when they do that so we came up with an alternative school week. They actually learned some things but still had a whole lot of fun too!! We all brainstormed some activities and I wrote them on a long sheet of paper and we hung them on the wall for everyone to see. 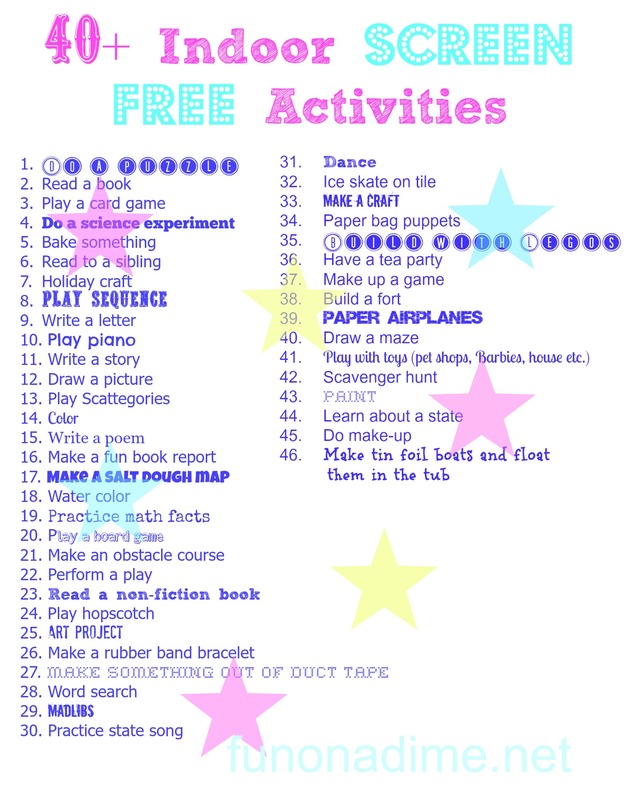 This list is all inside activities because we were sick but an outside list will be coming soon!!! We made a game out of it and they wrote what they did on the white board under their name so we could see how many activities they could do on the list over the week. It was fun how some kids had lots of things and some only had a few because they kept doing the same things over and over. I have made it into a printable for you so all you have to do is printed out and hang it up! Click on the picture below to print. 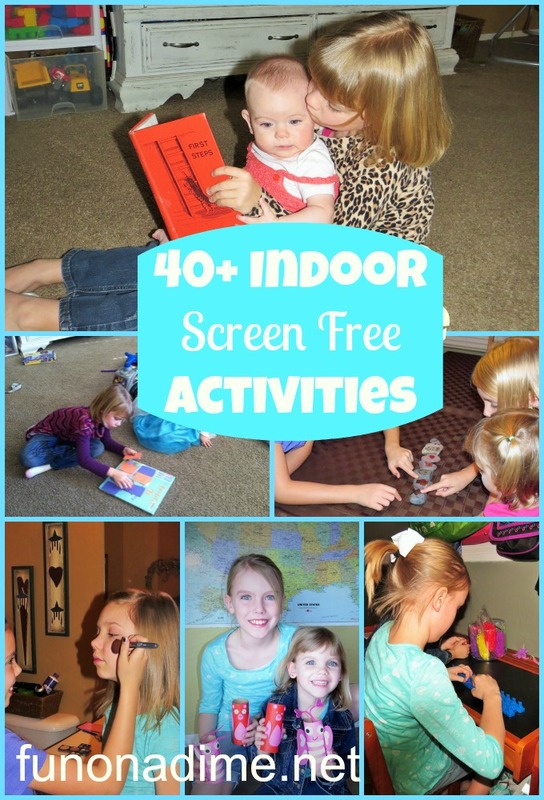 Do you have other ideas for indoor screen free activities? If you have outdoor activities I would love for you to share those too!